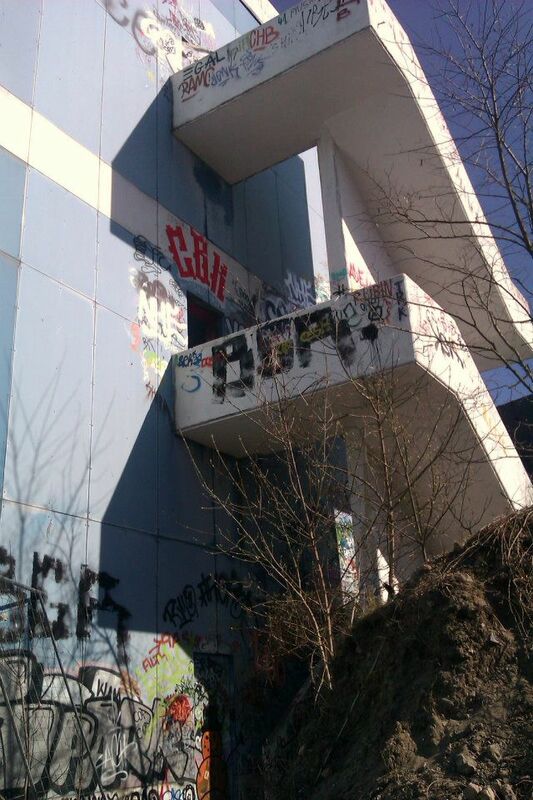 On my visit to Berlin a few moths ago, I heard tales of an ancient derelict building on top of a huge man made mountain. 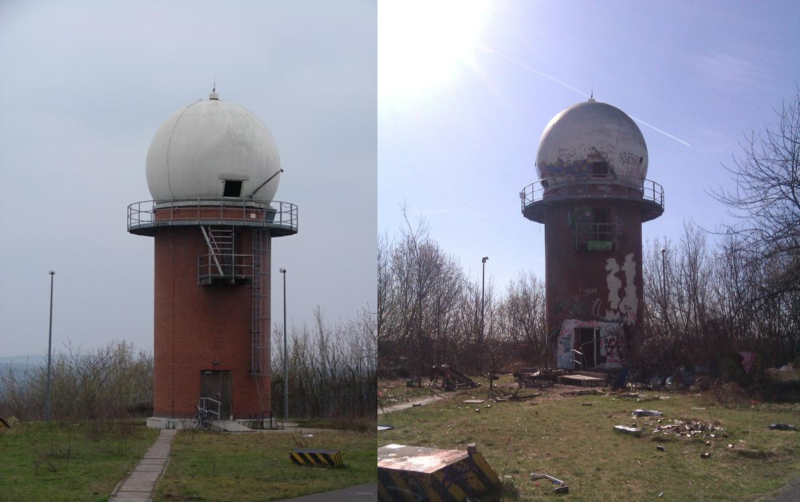 Apparently it used to be a US spy station during the cold war, used by the Americans to spy on the East Germans. Being a fan of derelict buildings in my school days, I decided not to miss the opportunity to investigate this piece of history for myself. 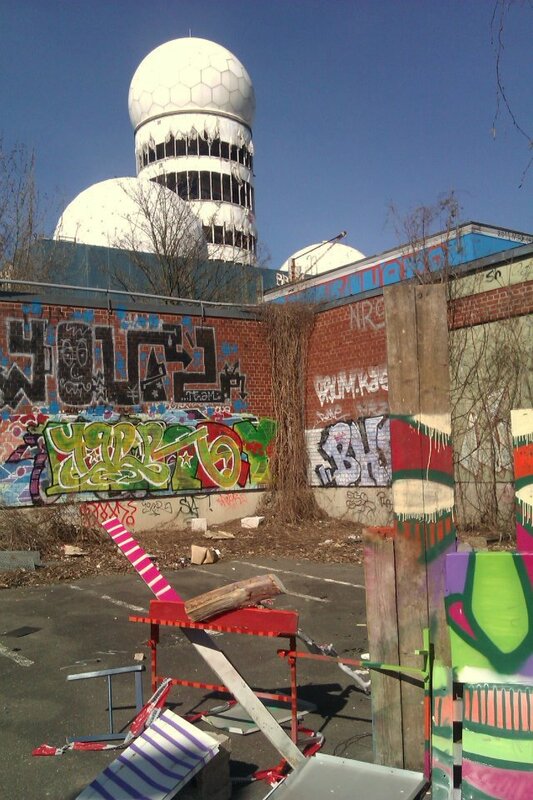 Teufelsberg is the German translation for Devils Mountain. It rises 80 meters above the surrounding area and has a strange history. It is actually a man made structure, made from the rubble of buildings destroyed by the allied bombing campaign during World War 2. This alone does not make it strange however, as there were many piles of rubble deposited around the outskirts of Berlin in the years following 1945. What is interesting is that underneath this mound lies a Nazi training school, designed by the Nazi’s chief architect Albert Speer. So well fortified was the building that the allies couldn’t destroy it with their bombs and detonations, so they decided to pile the excess rubble on it instead. 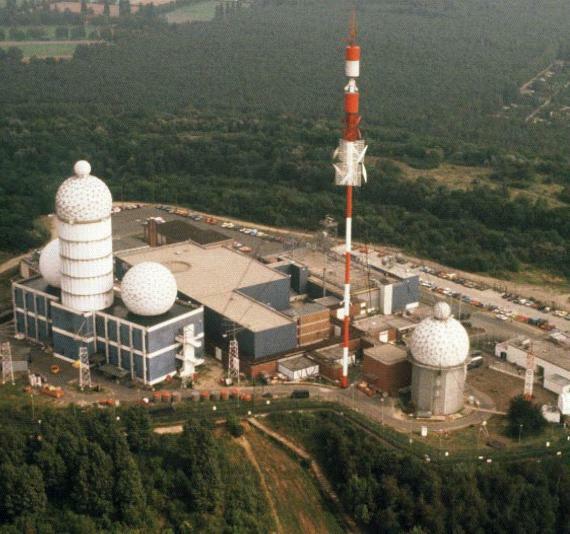 The US then built a spy station on top of this huge mound as they found that transmissions from East Germany and beyond could be better intercepted on the mountain. At one point they even demanded that a ferris wheel from a nearby fairground remain in place when the fair closed down, as for some reason they got a better signal when it was standing. 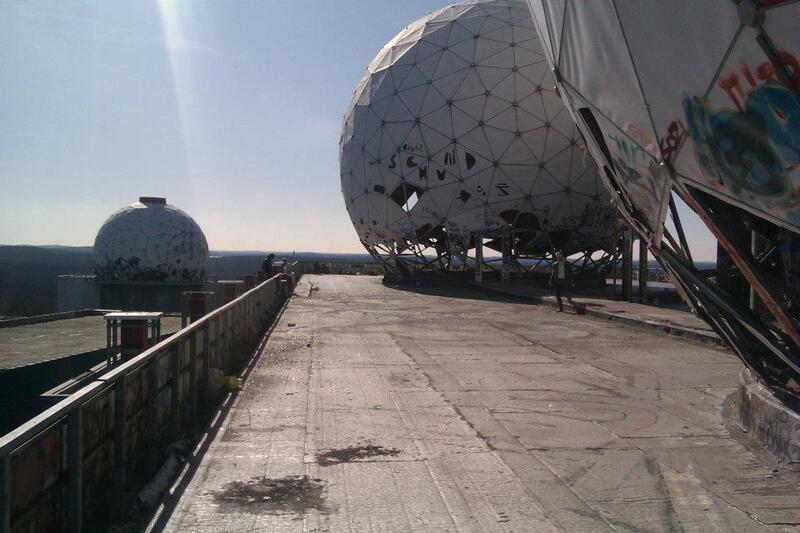 It was decommissioned and closed with the fall of Communism and the Soviet Empire in 1990. 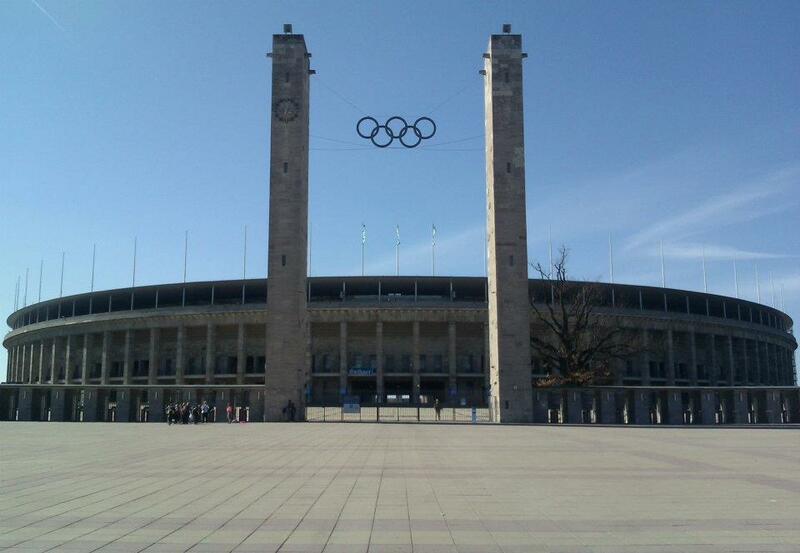 I made my way to the spy station via the Olympic Stadium, itself an awe inspiring structure, with historical resonance. I didn’t have a map, or know what the spy station even looked like. Some might say I was ill-prepared, I say I was brave dammit. I had been given instructions to get to the stadium and then travel South for a while. 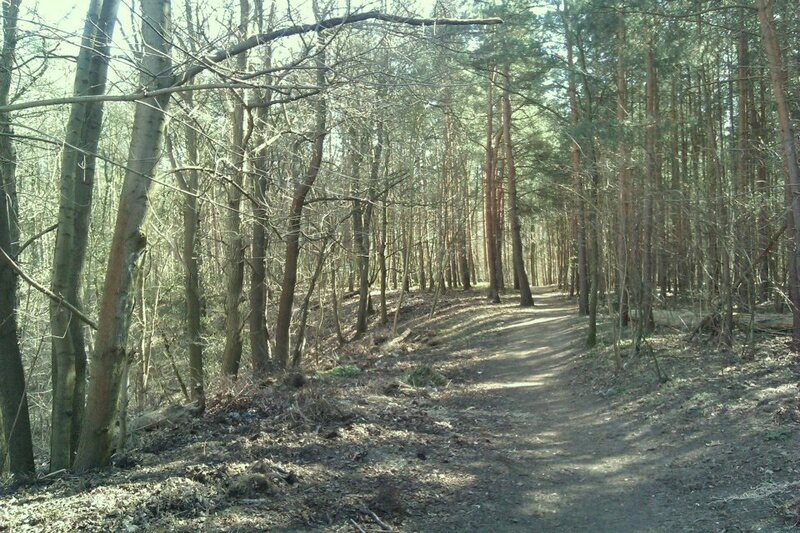 I got lost in the leafy suburbs of Berlin which was quite interesting in itself. I had seen a very tall pylon of some kind and headed towards that for a while, but then I saw the strange white domes peeking out from the top of some distant trees. My first sighting of the spy station. 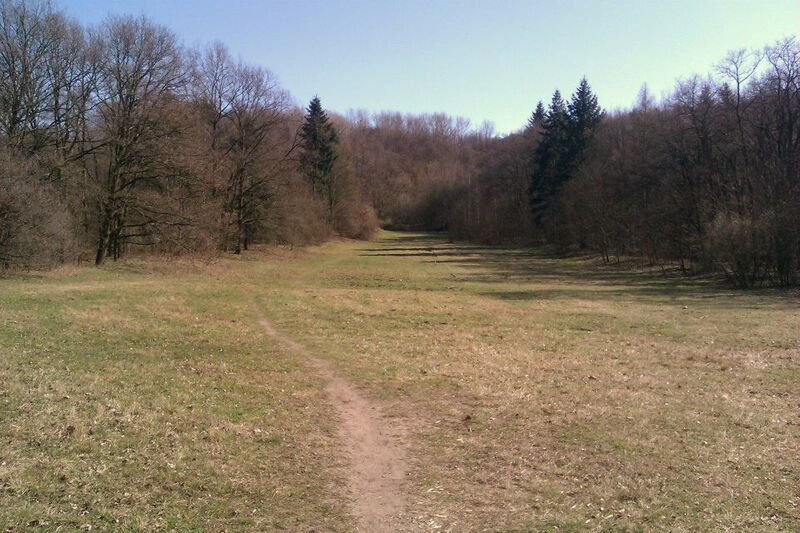 I walked towards it and made my way through the forest at the bottom of the mountain, it was very tranquil, birds were singing and the warm sun shone through the trees. I made my way towards the mountain through a surprisingly big field. Here I saw some long haired types carrying guitars walking ahead of me, I assumed they were heading up there aswell. My German friend had told me it was best to go on a Monday as there wouldn’t be any security guards. I guess these people had the same idea. I got to the top and had my first close view of the building. There was a fence encircling it so I had a walk round looking for a way in, there were many holes that had been covered up with extra fencing. Once I’d found a big enough hole I had a quick look around to make sure no one was watching, then ducked in. 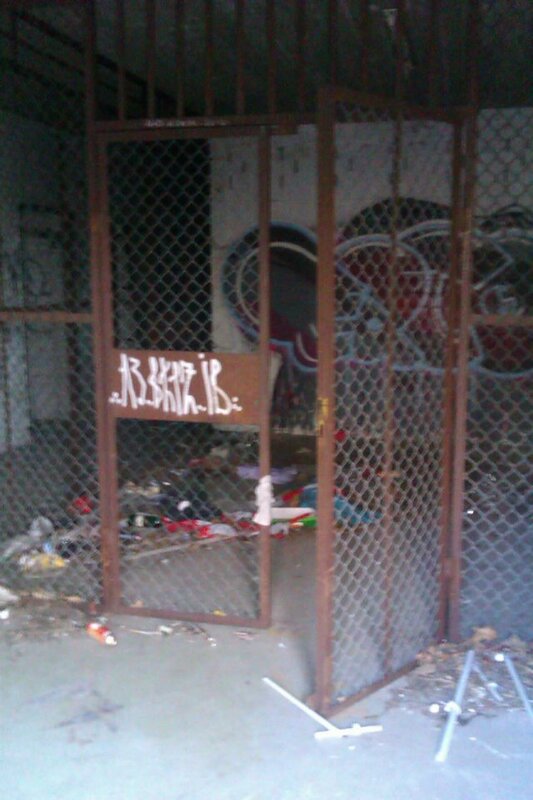 My fears soon faded though when I heard some Australians laughing and throwing some old crap around. God bless the Aussies. 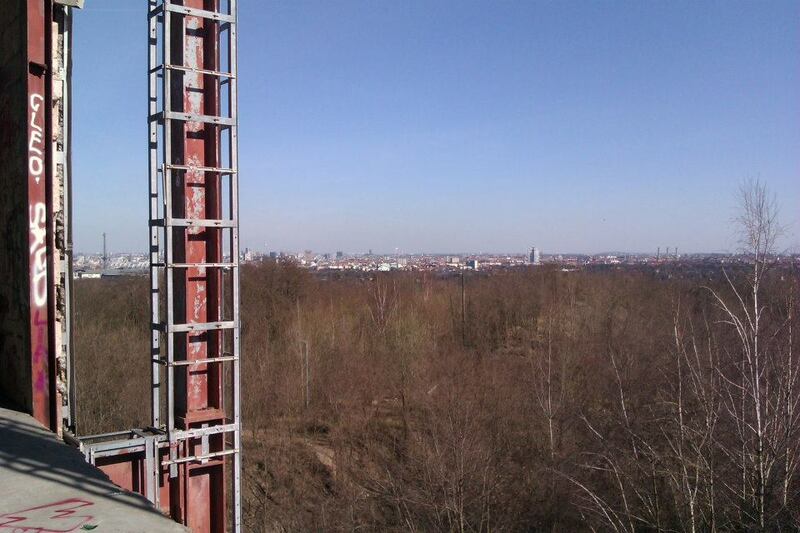 One of the towers as it was before the station was closed, and when I visited it. 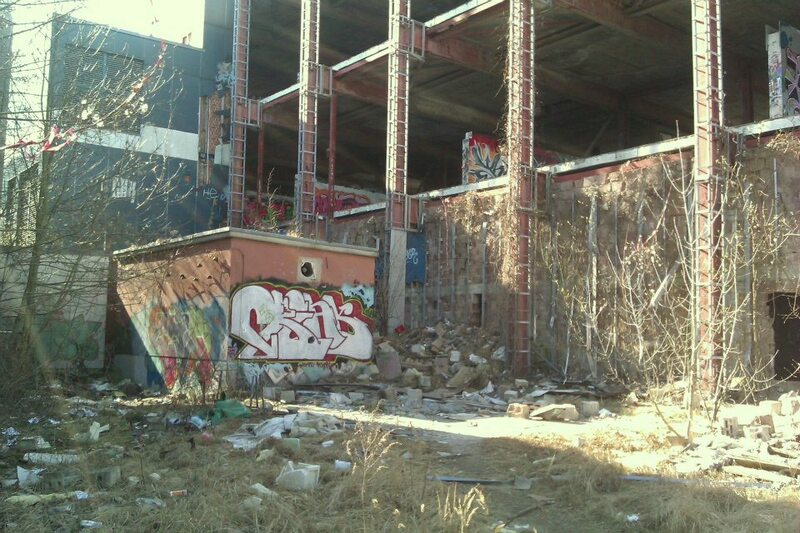 I had a walk round the area and investigated some of the abandoned buildings. As the station was before closure. Nice colour scheme. I noticed that there were others like me around, taking photos and exploring the site (although I was the only oddball on their own). 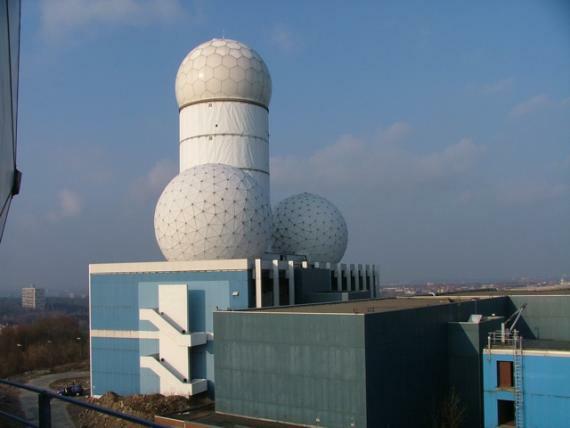 I saw that some were climbing the stairs up to the highest of the strange, phallic towers. I decided to have a look too. As I climbed higher the views kept getting more and more incredible. Each floor I reached had no walls, so you could go right to the edge and look down below, if you were that way inclined. I was. 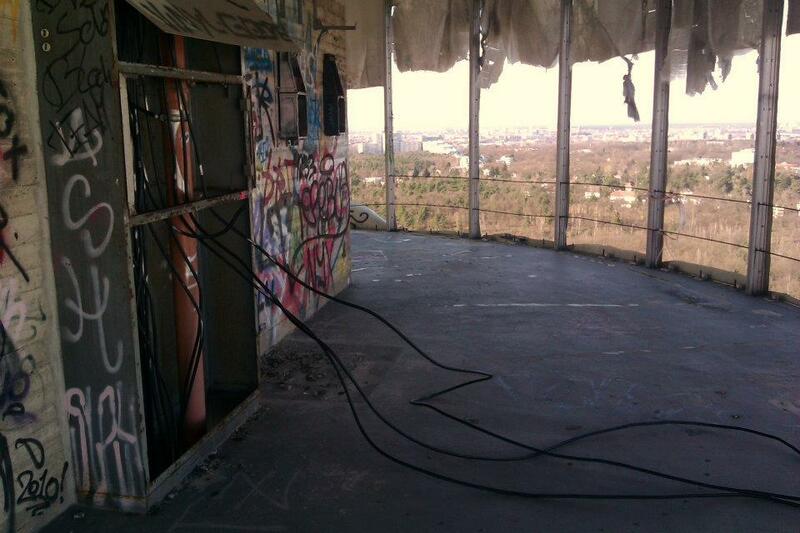 At the top of the large building I could have a walk around and check out some of the more interesting graffiti. I could also inspect one of the domes close up. I then began my journey up the dark, interior stairs of the tallest tower, stopping off at every level to be astounded by the view. 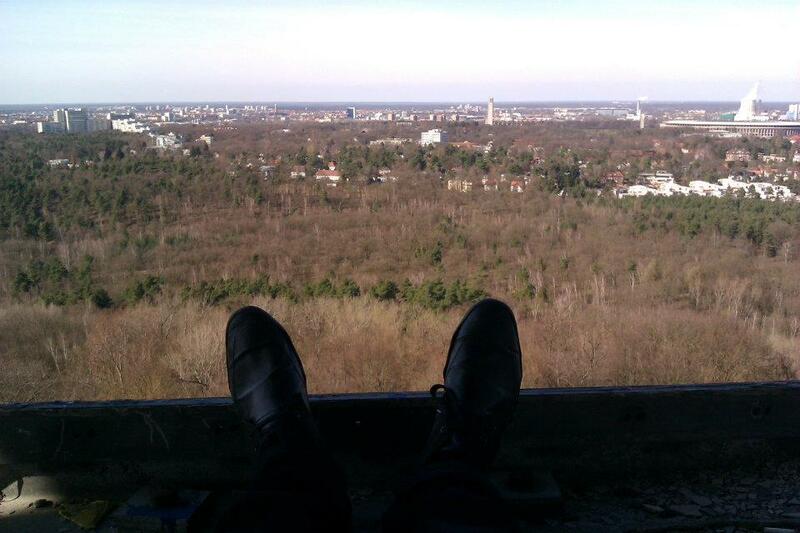 I could see all of Berlin below me, and even more of Germany as it stretched out into the distance, lakes, forests, church towers, it was the most incredible view I have ever seen, and I’ve been to Wales. My mobile phones camera tried to capture the majesty of the vista the best it could, but there’s no way you’ll be able to experience it unless you go there yourself. When I finally got to the top dome, about 6 floors up, I entered a strange dark, womb-like area. 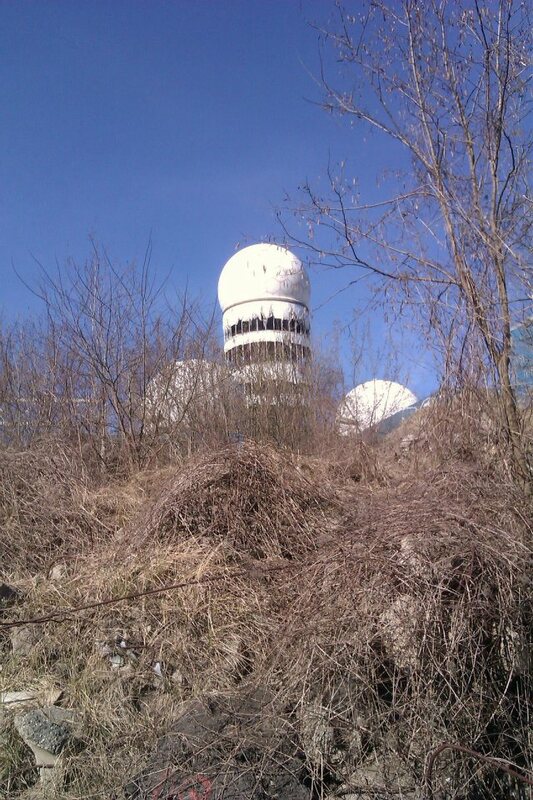 This is where the Americans would have housed their massive satellite dish to listen in on Soviet transmissions. The strangest thing of all was the bizarre echo that inhabited that space. It was a natural delay, the type guitarists pay big money for to achieve, the slightest scrape of a shoe created waves of repeated booming sounds, coming from all sides of the domed chamber. I recorded some of it on my phone but it doesn’t really capture the effect very well. It would be an amazing place to record music, of that I am certain. 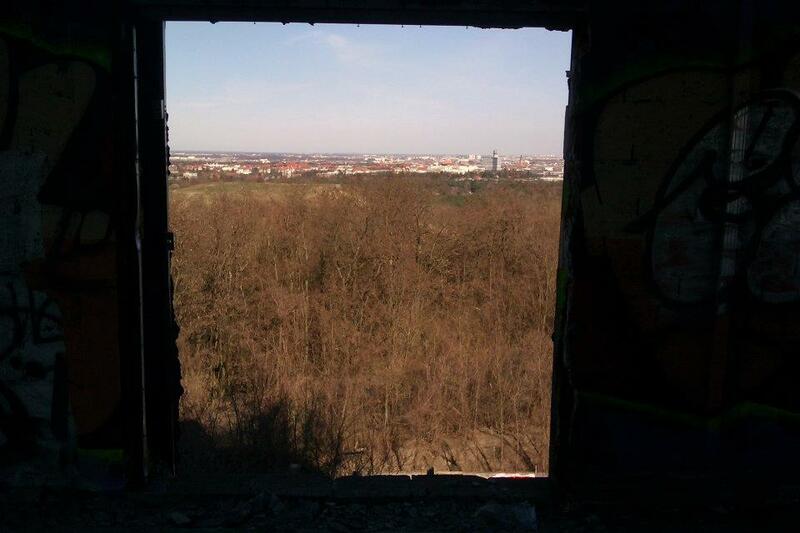 There was an opening in the side where you could stare out of the blackness into a square shaped Berlin. Having reached the dizzy heights of this impressive structure, I decided to make my way down and head back to the train station. I got to the bottom and walked around the building, slightly disorientated and not quite remembering where the gap in the fence was. 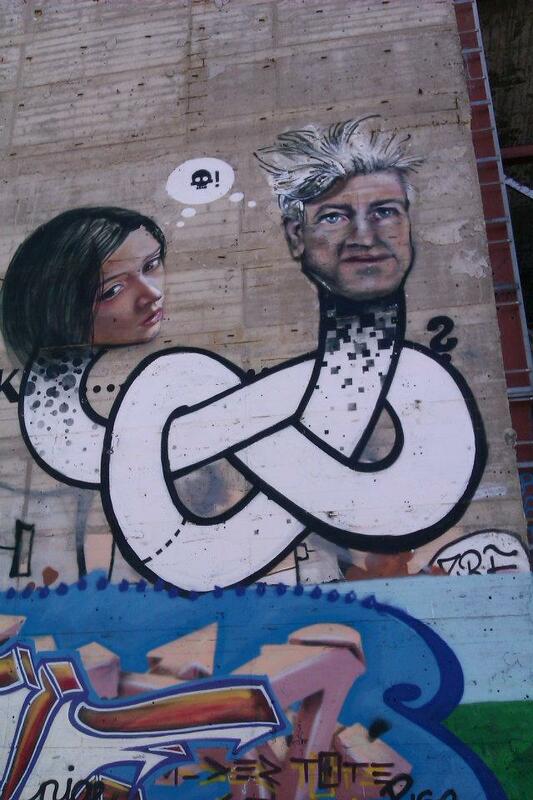 This, pretty amazing piece of graffiti seems to depict the American Film Director David Lynch in some kind of serpentine embrace with an unknown woman. 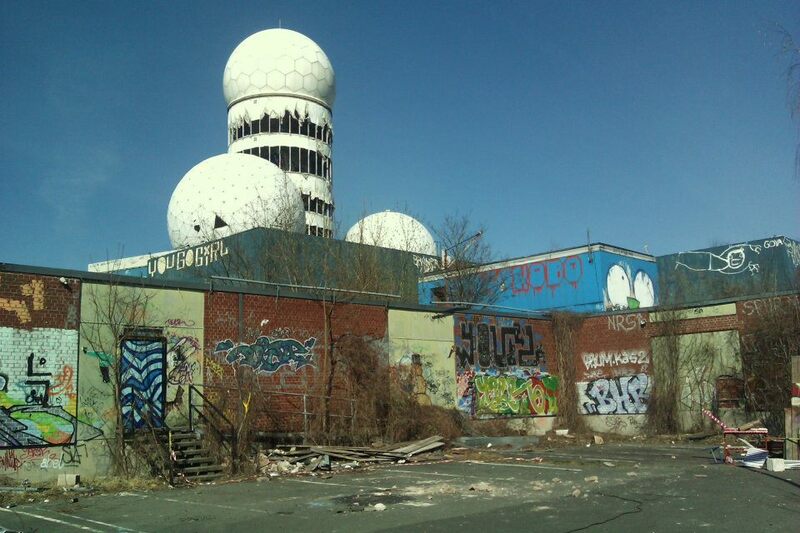 This has great significance as Mr Lynch at one point wanted to buy Teufelsberg and use it to make some kind of school or college for his Transcendental Meditation group. (I tweeted this photo to David Lynch himself, to see what he thought, but no response. 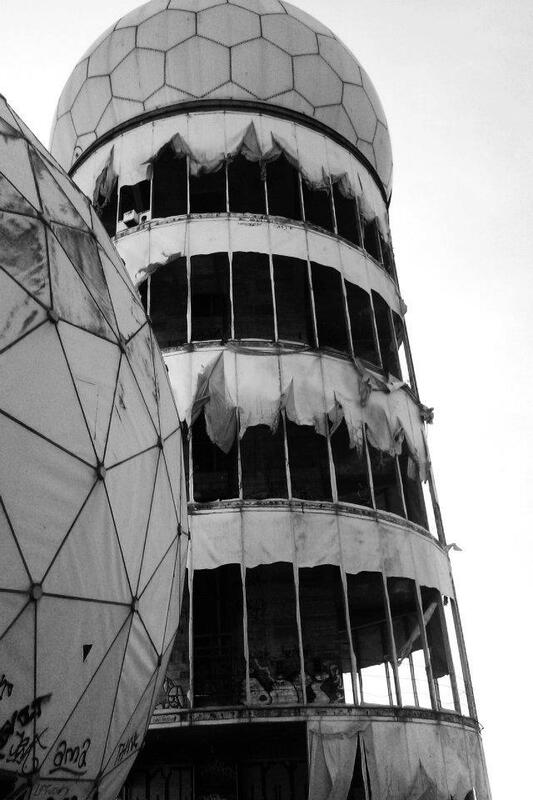 As yet) It seems that Mr Lynch’s bid fell through though, and the Spy Station still stands, derelict and defunct, but still an amazing and impressive structure. 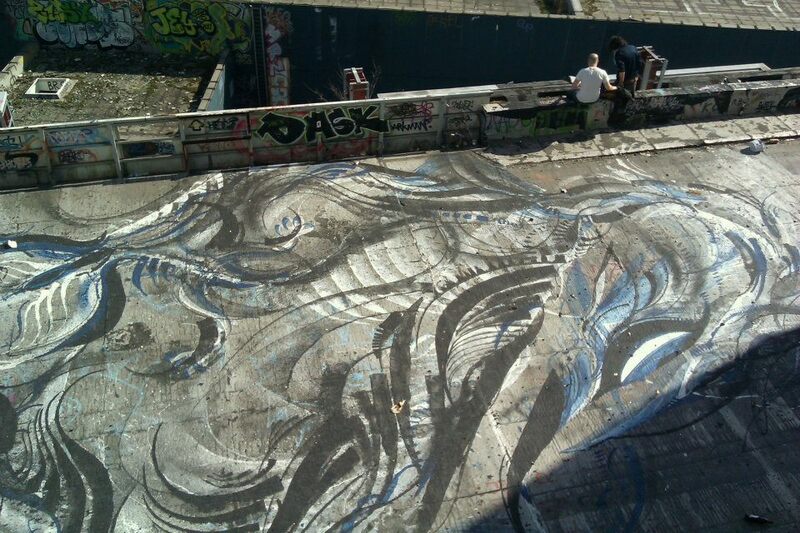 If you can stomach the vertigo inducing heights, I would thoroughly recommend a visit if you are in Berlin. 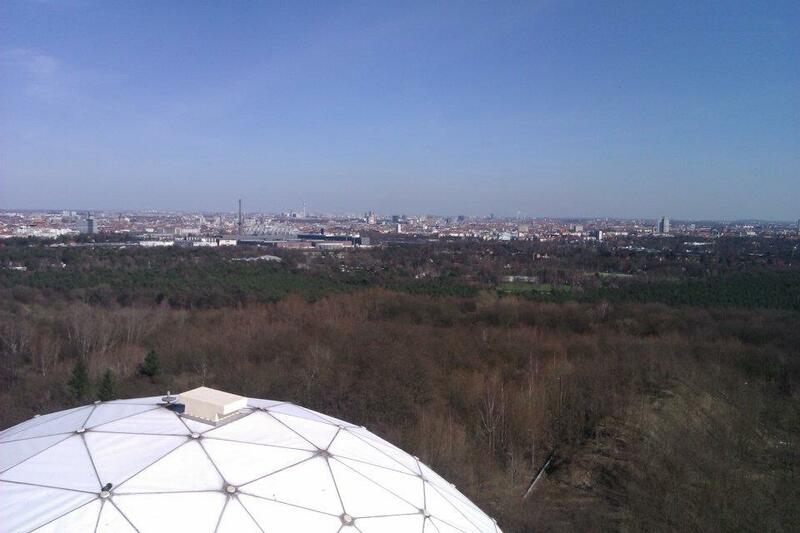 A visit to Teufelsberg is up there in my list of the best experiences of my life! 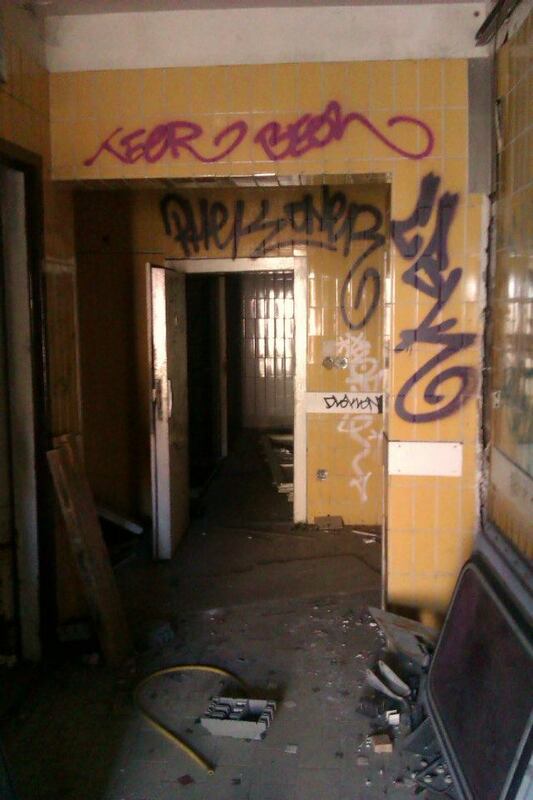 You may have come across it already but I’d recommend checking out abandonedberlin.com to see some of the buildings to explore here. Yeah I saw it and have heard of the childrens hospital. Someone told me a crazy transvestite murdered someone there. Gotta visit! It truly is. The view from the top of the main tower is the best I have ever seen.